I have recently got some new pieces from one of my favorite Jewelry stores, Love Always that I wanted to share. I think I might have a slight addiction to monograms. I love the classic monogram but I was so excited to get the large glitter monogram and the block monogram. I literally wear one of these monograms almost everyday. And I just got a monogram ring and I have also worn that everyday since I got it. 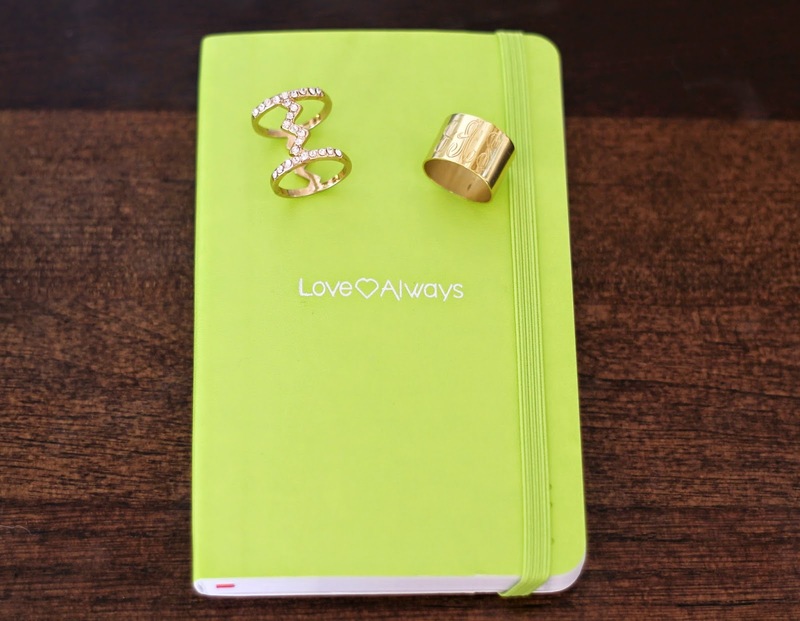 How cute is the little Love Always neon notebook? I don't know thy but I love notebooks. I guess because I love making lists and writing things down to stay organized. I love how this one is small enough to fit in my purse. So I have some good news! My favorite Love Always long bow necklace is available again for pre order! They go quickly so don't wait to long to get on the list. It is the perfect necklace for layering. I always layer mine with my monogram necklace. It is the perfect combo. Also Love Always is having a sale on select items. Use the code SALE50 for an additional 50% off sale items. I hope you all have a great weekend. Thanks so much for stopping by. So pretty! Great coupon code! beautiful! love every one of them! Thanks for sharing Jade. Could you post what size your monogram is and the chain length? I'd love to order the monogram but am trying to gauge size! thanks! Love everything about this...great looks! Monograms are great. I am LOVING the floral blazer with the blue clutch. Such a standout combination. Beautiful pieces. I am obsessed with my monogram necklace as well. It is the best simple piece to complete that special outfit. 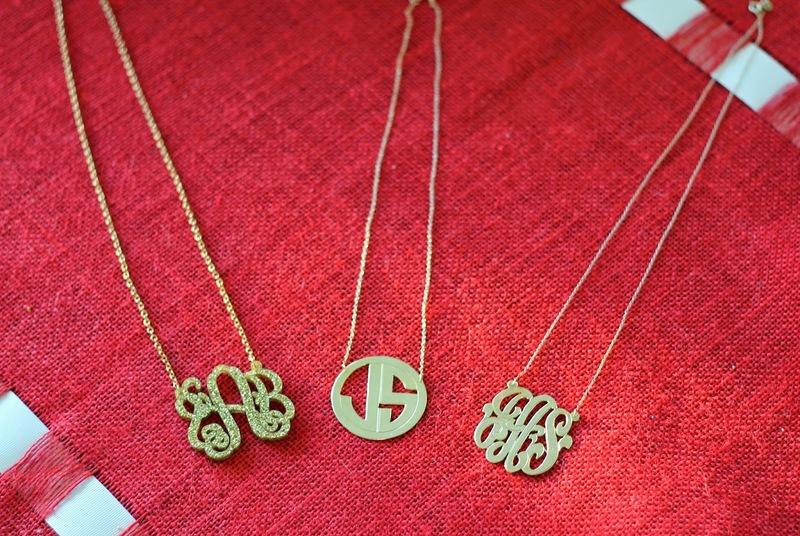 You're always sporting the best monogram jewelry! Yes! Love the bow necklace! Thank you so much Jade for styling our pieces so perfectly!!!!!!!! So gorgeous!!!! These pieces are all so beautiful! !